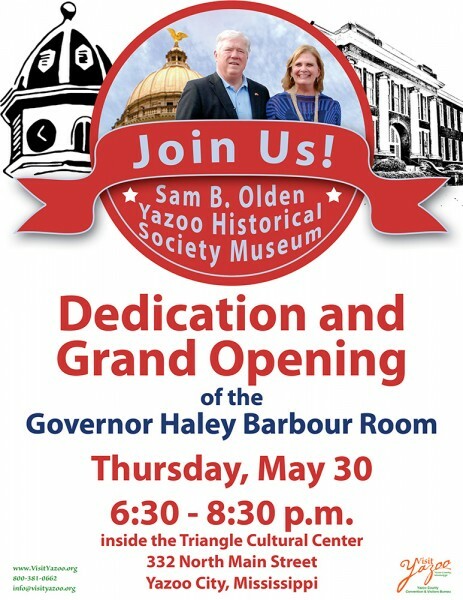 Join the Yazoo Historical Society for the Dedication and Grand Opening of the Governor Haley Barbour Room inside the Sam Olden Historical Museum. The Sam Olden Historical Museum, located in the Triangle Cultural Center in Yazoo City, brings together the County’s diverse past – from fossils dating back some 45,000 years to Native American relics, Civil War History, and African-American History, to the legendary trainman Casey Jones, and so much more. 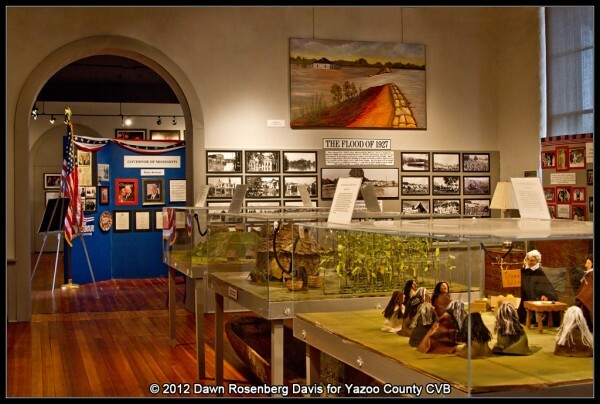 At the Sam Olden Historical Museum you can take a glimpse into Yazoo County’s rich heritage and culture. It’s a great prelude to visiting sites of interest around Yazoo City and Yazoo County.